The print volume of the Builder Premium Medium Dual-Feed is rare when comparing it to other 3D printers. With a maximum build volume of 210 x 210 x 400 mm it is the perfect 3D printer for large objects and prototypes. 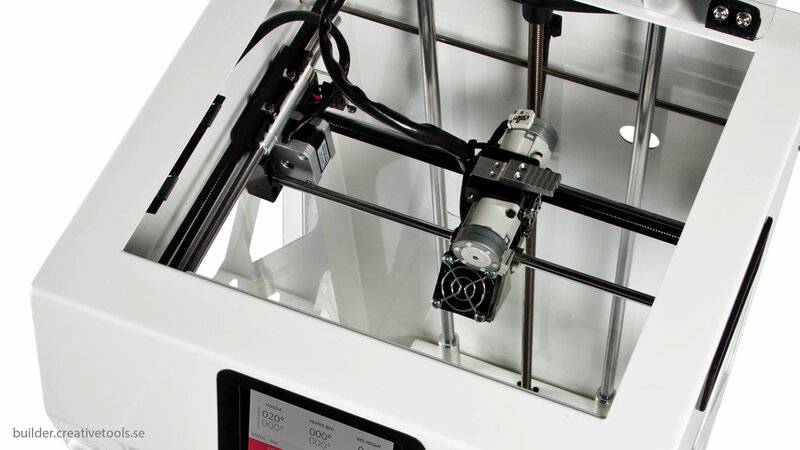 The unique Dual-Feed solution allows two filament/materials to colour mix in the same print. The 4.3 inch full color touch screen, with integrated Wi-Fi, is located on top of the Builder for easy access. The touch screen makes it really easy to control the Builder and heated bed. Printing while you are not at home/the office? Use the on-board camera to check the print and control the Builder with your mobile device. 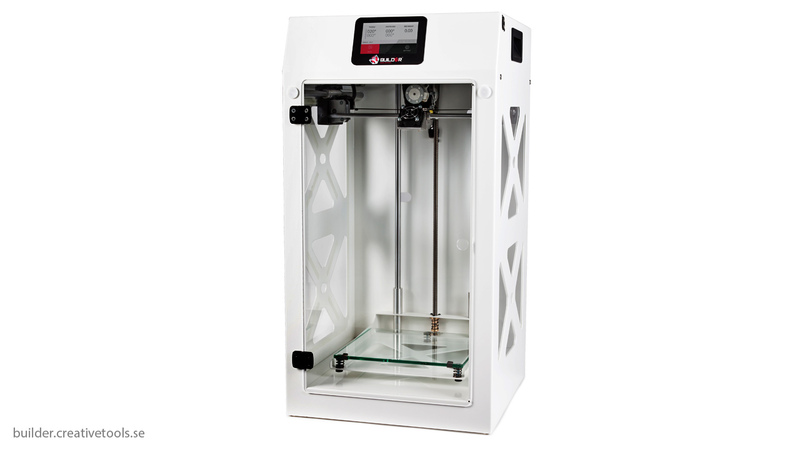 The Builder Premium Medium comes with the unique Dual-Feed Extruder which Builder 3D Printers is known for. 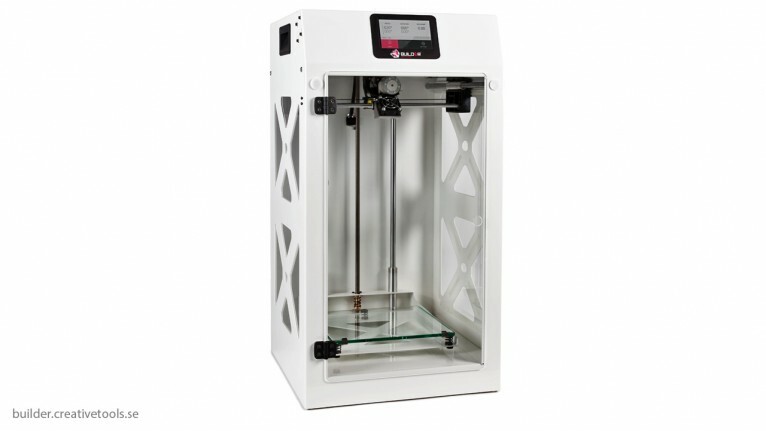 The Builder Premium comes with 2 spools of Builder PLA, free color mix code, a spare nozzle, spare teflon tubes, tools, quick start and manual. Download open source software for slicing (Cura) and additional profiles, and setting files for Simplify3D slicer software from the manufacturer's web page. Included Software Non. Cura and Simplify3D profiles can be downloaded from manufacturer's web site. Glass build plate 240 x 240 x 6 mm with bevelled edges and corners. For Builder Premium Medium 3D pr..